Suppliers of luxury wood floors, concentrating almost exclusively on engineered and solid wood flooring. Cambium Floors manufacture and supply a wide range of oiled, lacquered, and waxed products in plank, wide plank, Versailles panel, herringbone and chevron parquet blocks. Alternatively, our products can be produced without a factory finish should you wish to finish the floor yourself after installation, We also offer bespoke and highly customised floors in a variety of widths, thicknesses and textured finishes including brushed, distressed, scraped, planed and band-sawn. When coupled with ageing, smoking and metalising techniques and an extensive colour bank our customers are able to create a truly unique floor. As well as European Oak and Walnut, Cambium Floors also source a great number of tropical and temperate species (please get in touch if you should have any specific requirements). The British Wood Flooring Company specialises in bespoke wood floors, creating stunning results in individual homes, for clients with discerning taste and a desire to have authentic natural floors. From Reclaimed wood floors, either Oak or Pine, original Antique Oak floorboards and by using new oaks to create contemporary and aged wood floorboards. Parquet wood floors are hand-cut from either reclaimed floorboards or new woods to make Herringbone, Chevron or Basketweave parquet floors. 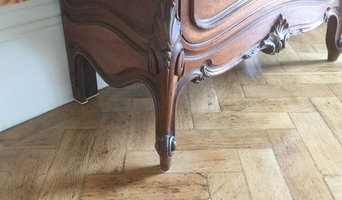 Hand made Parquet de Versailles make stunning floors or standout features to any formal room. By using End-grain tiles, we are able to create unusual and interesting floor features. The British Wood Flooring Company is able to meet clients’ requirements and provide input and detail throughout the process. We believe that by working closely with the client and managing expectations, we are able to deliver floors meeting and surpassing your requirements. Using highly skilled craftsmen, with many years experience of wood floor installation, refurbishment and finishing our wood floors, the results ensure floors are delivered on time and to a client’s satisfaction. Please feel free to contact us for more details and to discuss your project further without obligation. The Carpet Trade Centre carries a wide range of Carpets, Karndean, Amtico, Moduleo, Laminate and Vinyl Flooring. With over 20 years of experience means you get top quality service, the most competitive prices and we also offer a free of charge no obligation measuring service. We also have our own fitting team, so no need to chase around trying to find someone to fit your flooring. We are based in Basingstoke but supply to all surrounding areas. At Alternative Flooring we have a spark of curiosity that inspires flooring to be different. We are the first exclusively floor company to be a CoolBrand, chosen for our style, desirability, authenticity, uniqueness, originality and innovation. Our modern mix of natural fibre and wool carpet, rugs and runners explore texture, pattern and colour. We care too, providing eco products that are kind to you and the environment. At Alternative you get options with a great choice, from five metre seamless carpet to pre-cut runners and personalised rugs that are suitable for nearly every room in your home. Pioneers of pattern, we have collaborated with Britain's best designers Margo Selby, Ashley Hicks and Ben Pentreath to create the distinctive Quirky B broadloom carpet. We believe that building rooms from the floor up is the foundation to a perfect home. Our award-winning designs get people talking and make houses look gorgeous. Be yourself, be alternative. Kährs is one of the world’s oldest and most innovative flooring companies in the industry. Kährs offers an extensive range of engineered wood floors for both the domestic and contract markets. Its product range features an eco-friendly, multi-layered construction for enhanced stability and a glue-less Woodloc® 5S joint, which provides fast installation and eliminates gapping. As well as offering numerous wood species in various patterns and thicknesses – from 7mm to 30mm - Kährs also provides a choice of durable satin lacquer and nature oil prefinishes, in natural and stained shades, as well as brushed and bevelled finishes. Other products include Kährs all-in-one Activity floor range, complementary accessory and maintenance products, display stands and brochure material. Kährs also have Luxury Tile products on offer - for both wood and stone designs. We are the leading company in the U.K. for selling Oriental rugs and European Tapestries. We specialise in contemporary and antique rugs. Our main gallery is based in Romsey (Hampshire), we have a large warehouse in Southampton (Hampshire). In addition, we have also three showrooms: Hungerford, Edenbridge (Kent) and Hook. We serve clients all over the U.K. for example we are in London every week. Specialists in antique and contemporary carpets and rugs from all over the world. We travel all over the UK and Europe showing carpets and rugs in-situ to help a client or interior designer find the right piece to work with their interior. We love to listen to a clients or interior designers ideas and will work with you to show you the right size, design and colour rug to work in your home. We have a comprehensive website showcasing our ever growing inventory of carpets and rugs. Please visit our barn showroom which is located in Crondall, Surrey or contact us for further help. Branksome Carpets are at the top of Quality flooring supply and installation, providing customers with complete satisfaction and great looking finalized work. Providing great sales and prices along with quality of choice and Bespoke fitting from our Two Teams of fitters..
Flooring and rugs retailer. 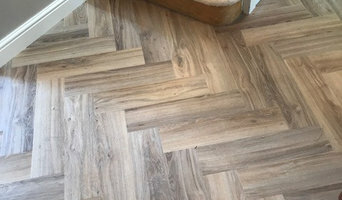 We can supply and fit all flooring types from plush pile carpeting to the very latest wood design vinyl and vinyl tiles. A large range of rugs is always available from stock with a special order and bespoke rug making options. Our highly professional fitters can move your furniture and dispose of old flooring. A local family run business with over 25 years experience in all sectors of the flooring industry. 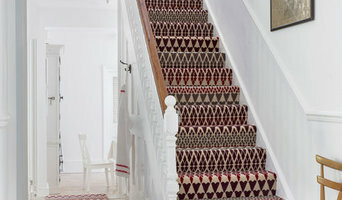 We source the highest quality carpets and flooring at the best possible prices, to suit all budgets. Recognised as a local, independent company that can be trusted, the team at our carpet store are very easy to deal with and offer helpful advice and guidance. Backed by an excellent reputation in the area with multiple glowing reviews, there isn't a better choice than L & P Carpets for flooring manufactured to the highest standards. Our proprietor, Lee, started as a fitter from a young age and has progressed to operating a respectable company serving the whole of Hampshire West Sussex and parts of Surrey. Specialising in the supply, installation and restoration of wooden flooring throughout Lymington, New Forest, Hampshire and Dorset. Offering a selection of Hardwood and Softwood flooring. Choose from a range of distressed, traditional and modern finishes. Carefully selected from various suppliers known only for their quality and attention to detail. Our Installation teams are more than just floor layers, they are carpenters and joiners who use the both traditional and modern installation techniques and who are only satisfied with the using the best quality materials. Please ring to talk to us, we would love to discuss and help with your future flooring project. Просматривайте каталог и находите лучшие агенства и специалистов, предоставляющих услуги по укладке напольных покрытий в Москве, Санкт-Петербурге и многих других городах на Houzz.ru: читайте отзывы предыдущих клиентов, оценивайте портфолио и легко связывайтесь с понравившимися вам фирмами и профессионалами, предлагающими услуги по производству, продаже, доставке, укладке и настилу таких покрытий для пола как ковролин, ковровая плитка, линолеум, ламинат, паркетная доска и не только в городе Southampton, Hampshire, UK. Найдите лучших специалистов по ремонту полов на Houzz!